This is my ‘last’ look featuring Giorgio Armani Eyes to Kill Intense shadows (ETK). It is a very neutral pretty look. I used Sweet Fire (ETK No. 7) with a damp brush (Sigma SS194), but that was because I wanted the intensity for the photos. I would suggest using your fingers for a more subtle appearance. 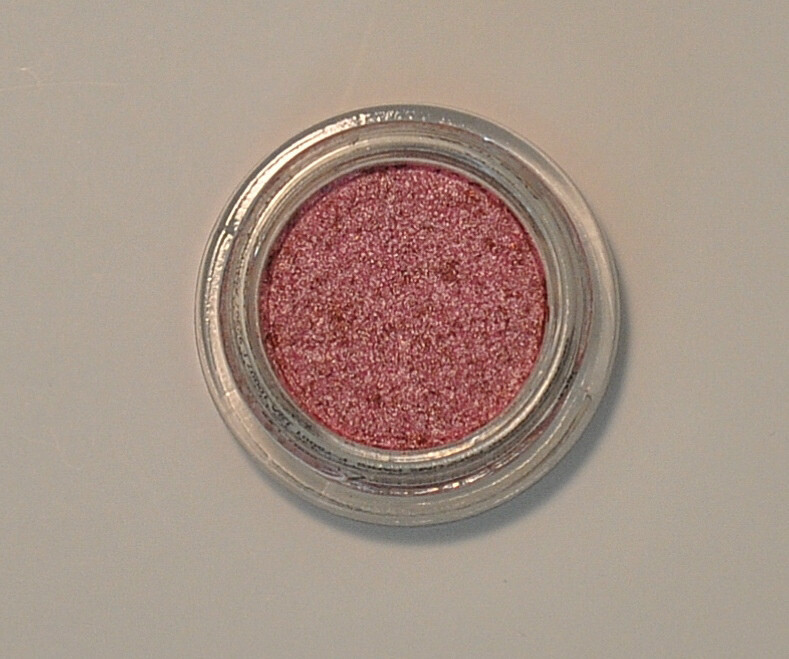 Click here for a swatch of Sweet Fire (ETK No. 7). I tried out Eyes to Kill on top of a cream base instead of a primer. I used a Mac Paint Pot all over the lid and up to the brow. I then applied ETK No. 7 on the lid and up to the crease with a dampened concealer brush. I used the back of my nail to get some of the product on the back of the stopper that comes with the product. I don’t think using this base would’ve been a good choice had I worn this over the course of a day. Mainly because my oil lids need a primer, but combining two cream-based products plus having to pack on ETK to get the intensity for the pictures was not a good idea. In the short run, that combination accentuated my crease line too much. With a Mac 217 brush, I blended out the edges of the ETK using Makeup Forever #137 and into the crease, which is a mauve shade. This shade has ever so slight sheen, but matte lovers can appreciate it. With a Laura Mercier eye crease brush (fantastic brush by the way) I used Mac’s Embark to form my Outer V. Embark is a shade Mac lovers love to hate. It is a matte, which isn’t the brands best product. I use it often in the crease, but I have to swirl a crease brush in the shade at least eight times. This will not be a repurchase item for me. If you’re debating on this shade, get Handwritten (matte2 finish). I used Cranberry to help the transition between Handwritten and ETK No. 7. I applied my inner corner highlight shade (Shroom) using a pencil brush. I chose Mac Vanilla as my brow highlight because it isn’t as shimmery as Shroom. For a softer look, I used a shadow as a liner versus using an eyeliner. I chose Nars Coconut Grove shadow. Unfortunately this was a limited edition shade, which should be made permanent. Nars isn’t a line known for its eye shadows because they are so ‘hit or miss’. This is the darkest, most pigmented matte brown known to man and the finish is so buttery smooth. It is on the cool side, which isn’t good for me because I can’t use it full on. It turns too ashy. I knew it was a cool-toned shade when I bought it was too fantastic to turn my back on it. I actually did a pink and brown look with an Inglot shade and this color in the crease, but it didn’t look good. I used a short dense shader brush to apply the shade as an eyeliner to the upper and lower lash line.